Strong passenger car sales helped propel Chrysler Canada to its 23rd month of consecutive sales growth. Reporting sales of 17,049 for the month of October 2011 compared with 15,168 in October 2010, the tally marked a 12 per cent jump versus a year ago, representing the company's best October sales since 2002. “We had another great month with our best October in a decade,” said Reid Bigland, president and CEO of Chrysler Canada. Passenger cars led the way with the Chrysler 300 and Dodge Charger growing 127 and 110 per cent respectively, over the same period one year ago. Records were set in October for Ram truck with 5,282 units, up 53 per cent from the same period in 2010. Ram truck remains the second best-selling vehicle in Canada and more than 10 million sold worldwide. 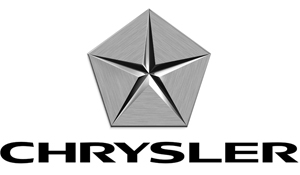 Chrysler brand sales soared in October, up 97 per cent. The made-in-Canada, Chrysler Town & Country minivan set an October sales record with 493 units sold, compared to 452 sold in October 2010.